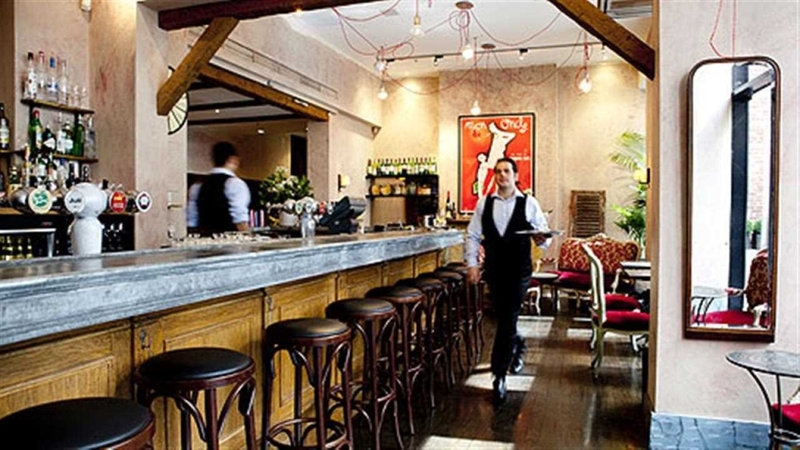 If you’re after a slice of Paris in Melbourne, think no further than Bistro Vue in Little Collins Street. The younger sister of acclaimed Vue Du Monde, Bistro Vue is a more laid back and affordable alternative if you’re looking for some authentic French fare. The contemporary European bistro has been beautifully executed. Opened in 2006, Bistro Vue is modelled on the great French bistros and offers the very best of classical French cuisine. Modern elements like filament globes and colourful artwork are warmed up by more rustic touches, typical of a French country-style home, like wooden beams, antique wicker chairs and cosy candlelight. So tres chic. Farmhouse style chairs are combined with plush cherry banquettes to give the restaurant a mismatched classic French feel. The division of the space into small, cosy dining sections give it a heightened sense of intimacy and romance. 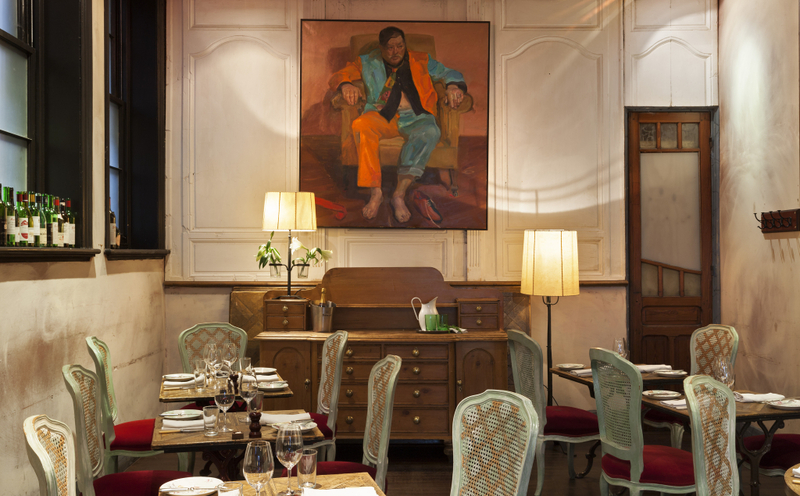 The menu showcases the very best of classically inspired French cooking. There are all the usual French suspects like escargots, steak tartare and foie gras, as well as more contemporary dishes like kingfish with fennel, orange and kale. In typical French style, the menu is best enjoyed in distinct courses. We were immediately made to feel at home by their incredibly attentive staff, which seemed more than happy to entertain in some banter and make recommendations. 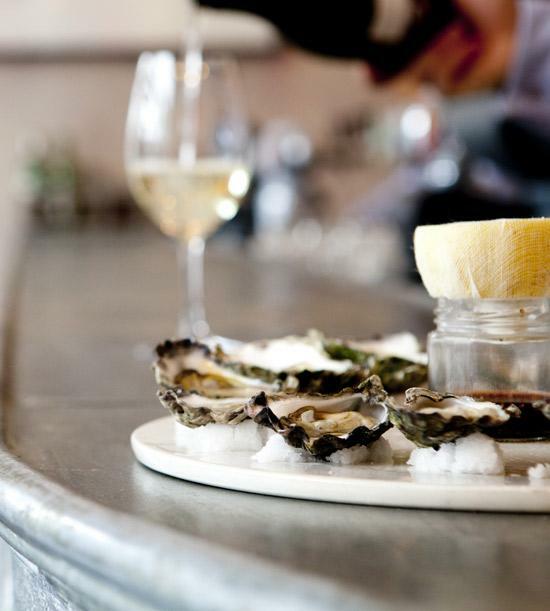 We started with half a dozen native moonlight flat oysters, freshly shucked from Bateman’s Bay, New South Wales. Each oyster is hand selected when in optimum condition (a selection of Label Rouge ($5.50) Clair de Lune ($4) and Rusty Wire ($4.50). Served on a generous bed of sea salt, the oysters are served with a cabernet shallot vinaigrette which is crowned by half a lemon in muslin. From the poissons list, a snapper was poached ($35) beautifully, the slightest nudge causing the juicy, plump flesh to flake perfectly. The fish was served with beetroot, asparagus and a tangy herb emulsion which provided the dish with delicate, earthy flavours. The accompaniments were just enough to add a little depth to the dish while allowing the fish to be the true hero. The lamb shoulder ($36)was cooked to perfection, the first cut exposing a rosy centre which melted in the mouth. Creamy mashed potatoes were the perfect accomplice to mop up a shallow bath of red wine jus. Perhaps the most exciting part of the menu of Bistro Vue is the desserts. You can select from a delicious range of classic French desserts which rely on technical precision to deliver so spectacularly. 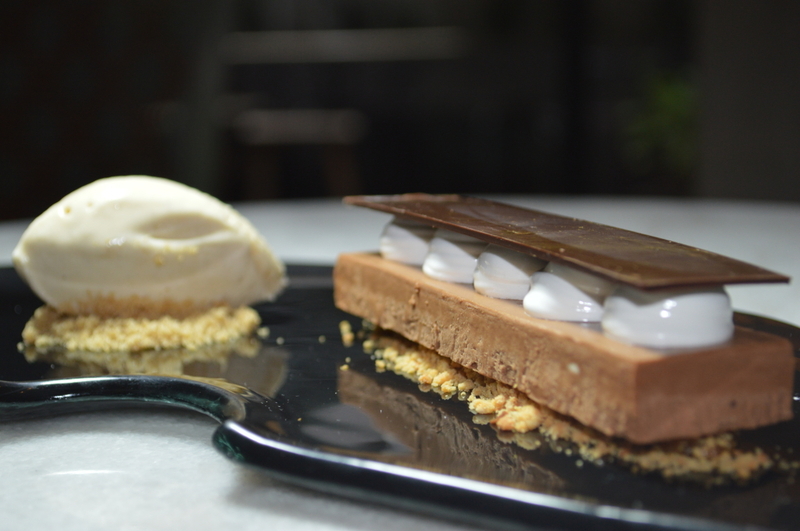 The Bistro Vue “Snickers bar” ($16) has to be seen to be believed. A slightly deconstructed version of the Snicker’s chocolate bar, it is made up of a slab of peanut butter ice cream, chocolate mousse, marshmallow and a horizontal shard of chocolate. 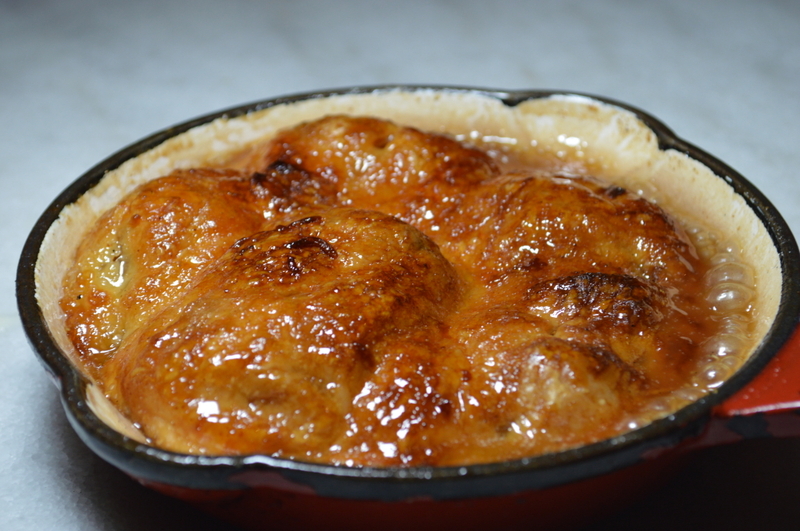 A biscuit crumb provides a welcome textural intrusion to the dish. But the biggest surprise is the large jug of slightly salted caramel, which our waitress pours over the dish until it is completely covered, Simply sublime! If you have room, there is also a trolley of decadent petit fours, or for the non-sweet tooth, a fully laden dessert trolley. The food is superb at Bistro Vue with Head Chef, Chris Bonello, continually raising the bar. It’s a perfect spot for a special occasion or a cosy, romantic date. I can’t wait to come back. I’ve been to Vue de Monde and it’s still one of the best restaurant experiences I’ve ever had!